Explicit TPB - ShowTime Synergy - Jem and the Holograms - DARK JEM Part 2! In the 67th Back Issue Classics The Pull Bag GETS TRULY OUTRAGEOUS! That's right in the latest Back Issue Classics TFG1Mike, Nicole BeatlesDiva HailStorm, and Aimee LadyWreck continue to be TRULY OUTRAGEOUS. These three Misfits will be reviewing the final three issues of DARK JEM from IDW's Jem and the Holograms! So we talk issues 14-16. At the end of the show we go through the IDW staff changes, and the solicits for Jem 17-20! 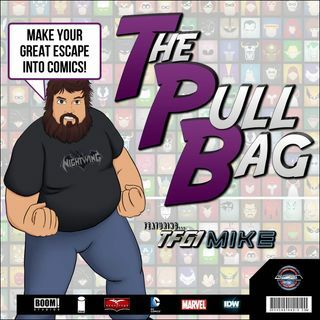 This will be featured both on ShowTime Synergy and The ... See More Pull Bag!